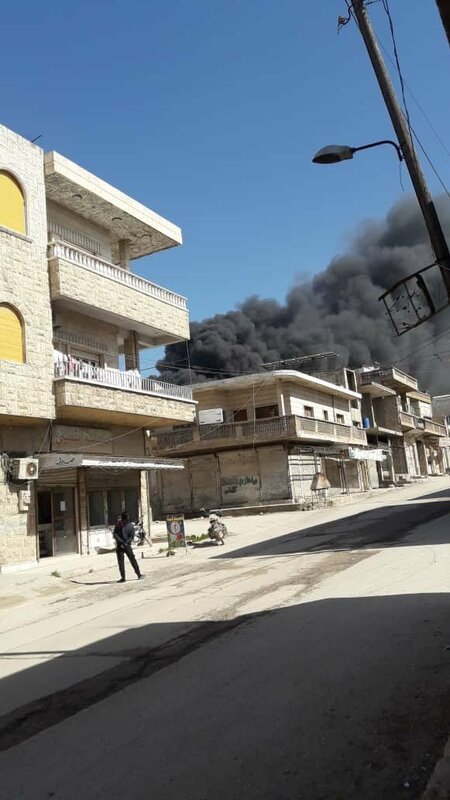 In a renewed artillery bombardment of Khan Sheikhoun, between four and five civilians were killed, including three from one family, and others were injured, following a strike on a bakery. Sources were conflicted as to who was to blame, some attributing blame Russia, while others blamed the Syrian regime. Huge fires broke out, according to video evidence published by Alarbay. There were no specific numbers of wounded reported. As many as 50 shells were fired on the vicinity, according to local media.